Desserts courtesy of Yauatcha Soho. For an introduction into Yauatcha, see here. Its a rarity to see the combination of Chinese dim sum and European patisserie work together, and Yauatcha is a true example of this. This distinctive trait is what sets Yauatcha apart from the rest, a characteristic worthy of its accolades. The video below is shared from its own website, go ahead and click play! Yauatcha Sweets from Touchfood on Vimeo. As we are currently nearing the Mid-Autumn festival period, Yauatcha has released their take on the moon cakes. 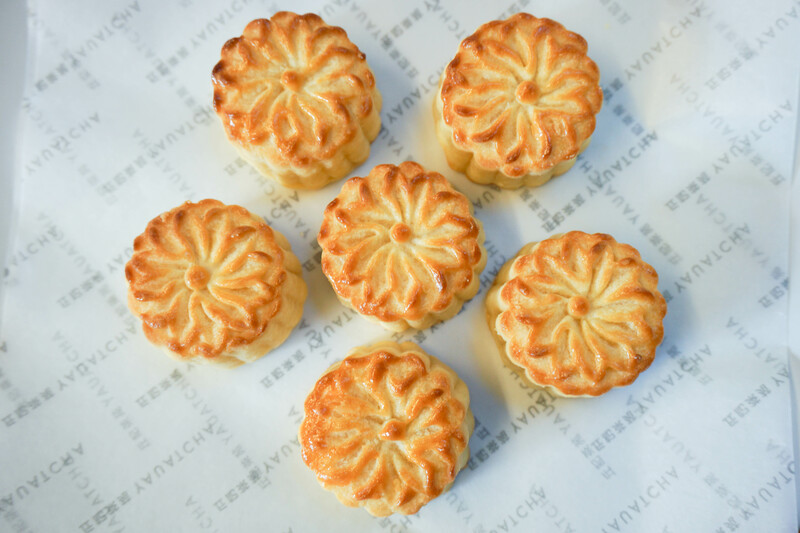 Moon cakes have been a long standing tradition at the Mid Autumn Festivial and are regarded as an indispensable delicacy. The exterior, made like the crumbly, sweet pastry you would typically have, filled with thick Chinese custard for its interior. Usually, traditional moon cakes consist of a lotus seed filling and main contain yolk from salted duck eggs. These small Chinese pastries are spherical in shape to represent the full moon and unity. The Red Fruits Fromage Frais and Raspberry Delice caught our eyes, so these were the ones we ordered. 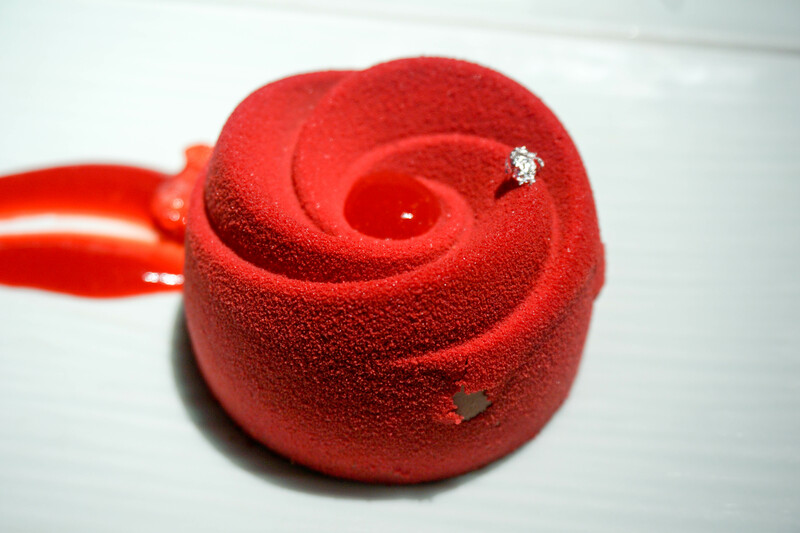 The Raspberry Delice consisted of raspberry, Madirofolo chocolate and lychee. The intricate design with the touch of a silver leaf is always an eye opener. 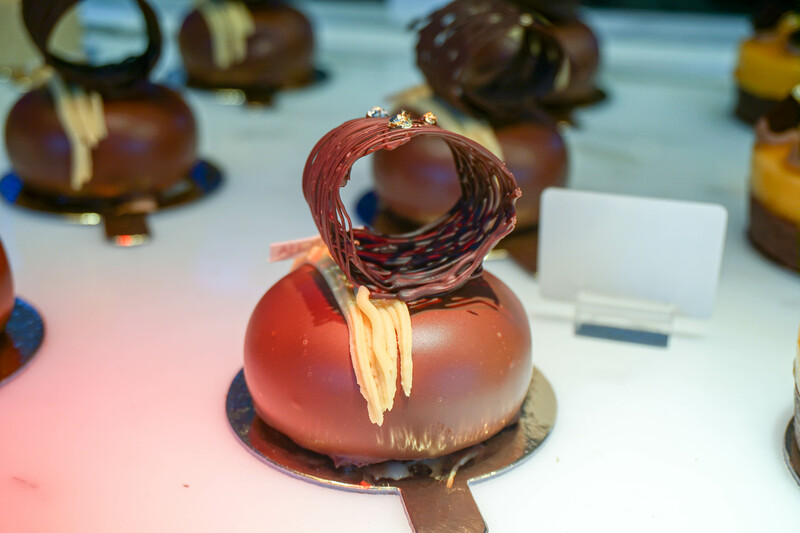 The mousse is light and the intense chocolate sponge can be tasted. The lychee pannacotta is creamy and complements well with the lychee flavoured ice cream. The Red Fruits Fromage Frais is equally as spectacular, fresh fruits and white strawberries are even used! The layer of pistachio at the bottom surprised me, adding further flavour to the dish. The mousse was light and fluffy with a subtle hint of soft cheese. Our choice of cocktail came from the Hakkasan Signature – the Earth Asian. This was made up of mount gay black barrel rum, apricot jam, lychee juice, lime, jasmine syrup and black walnut bitters. It was surprisingly a really refreshing drink and not too strong. Of course, we brought some mooncakes back for the family as well as buying some of their signature macarons. £1.80 per piece of £9,70 for 6, which is a pretty reasonable price in comparison to some other bakeries. What makes Yauatcha’s macarons distinctive is the influence of Asian tastes incorporated into each flavour. Toasted Rice, Sesame Cashew, Sesame, Coconut Lychee and Pandan are just a few they sell. 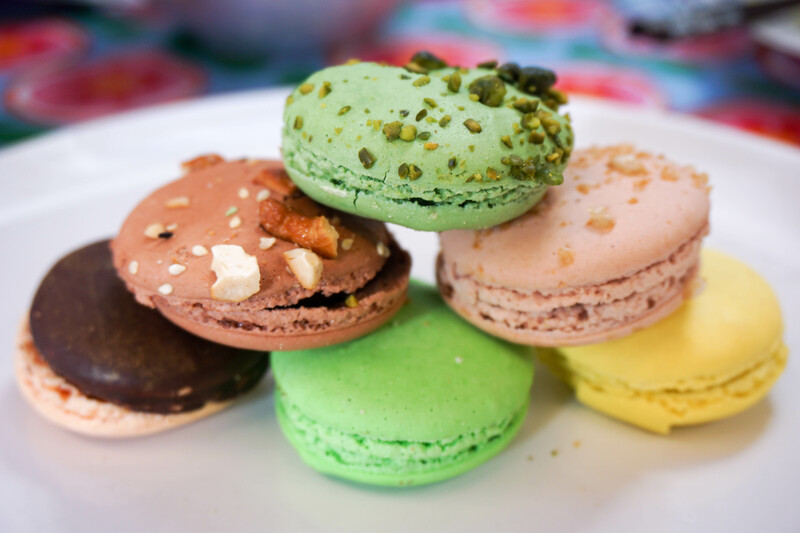 Traditional favourites such as matcha pistachio are also available on the menu. Brought some macarons home too!